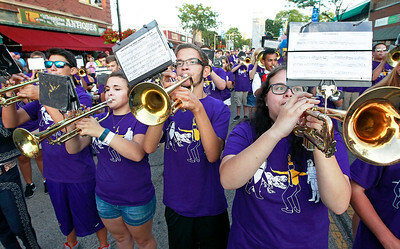 Candace H. Johnson - For Shaw Media Megan Lair, 16, Jadon Baez, and Zoe Battaglia, both 17, play their trumpets with the Wauconda High School's Marching Bulldogs on Main Street during the 17th Annual Street Dance in Wauconda. 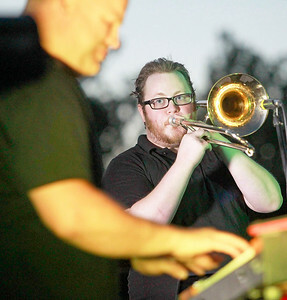 Candace H. Johnson - For Shaw Media Nick Roach, of Aurora plays his trombone (on right) with the jam band, Better with Bacon, during the 17th Annual Street Dance in Wauconda. 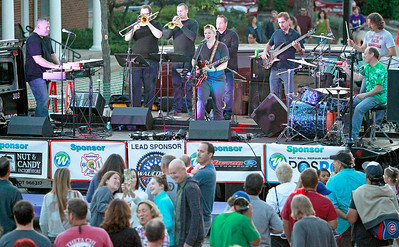 Candace H. Johnson - For Shaw Media The Better with Bacon jam band entertains the crowd on Main Street during the 17th Annual Street Dance in Wauconda. 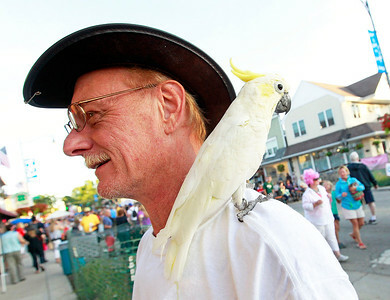 Candace H. Johnson - For Shaw Media Don Hammer, of Wauconda brought his cockatoo named, Tanya, to the 17th Annual Street Dance on Main Street in Wauconda. 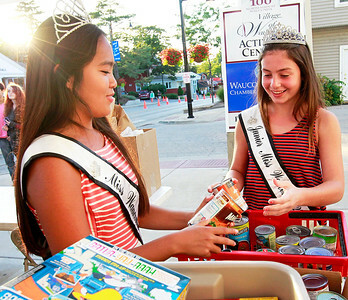 Candace H. Johnson - For Shaw Media Wauconda 2016 queens: Miss: Katrina Nishioka, 16, and Jr. Miss: Julia Fohlmeister, 13, sort donated food for the Wauconda/Island Lake Food Pantry during the 17th Annual Street Dance in Wauconda. Candace H. Johnson - For Shaw Media Sheryl Ringel, trustee and pageant director, announces the first Miss Wauconda, Marge Mackay, next to the current 2016 queens, Little Miss: Reagan Mohr, 8, Jr. Miss: Julia Fohlmeister, 13, and Miss: Katrina Nishioka, 16, during the 17th Annual Street Dance in Wauconda. Mayor Frank Bart (on the left) was on stage with them after giving the Wauconda Area Queens the Mayor's Community Service Award. 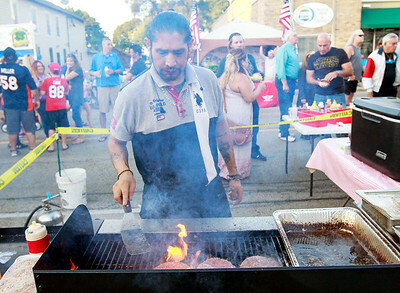 Candace H. Johnson - For Shaw Media Juan Chavez, a cook with Bulldogs Grill, makes hamburgers on Main Street during the 17th Annual Street Dance in Wauconda. 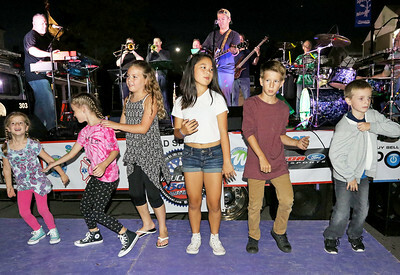 Candace H. Johnson - For Shaw Media Children dance to the music of Better with Bacon, a jam band, during the 17th Annual Street Dance in Wauconda. 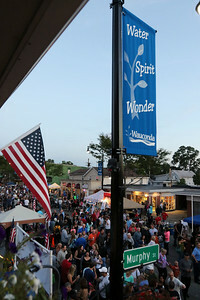 Candace H. Johnson - For Shaw Media The 17th Annual Street Dance on Main Street in Wauconda. 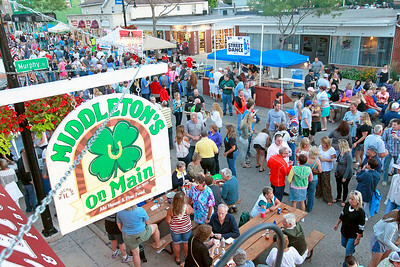 Candace H. Johnson - For Shaw Media The 17th Annual Street Dance seen from the balcony at Middleton's on Main in Wauconda. 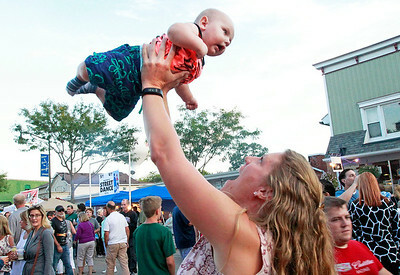 Candace H. Johnson - For Shaw Media Ace Mosko, five-months-old, flies high with the help of Melissa Williams, his aunt, both of Wauconda during the 17th Annual Street Dance in Wauconda. 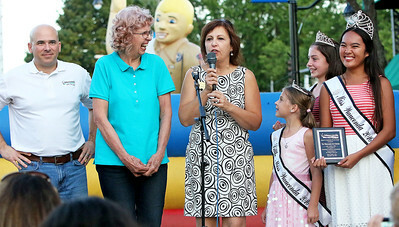 Sheryl Ringel, trustee and pageant director, announces the first Miss Wauconda, Marge Mackay, next to the current 2016 queens, Little Miss: Reagan Mohr, 8, Jr. Miss: Julia Fohlmeister, 13, and Miss: Katrina Nishioka, 16, during the 17th Annual Street Dance in Wauconda. Mayor Frank Bart (on the left) was on stage with them after giving the Wauconda Area Queens the Mayor's Community Service Award.